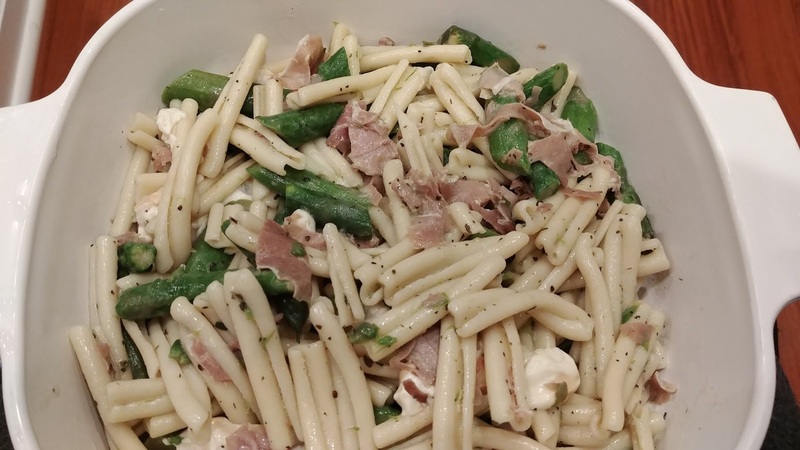 Yes, another pasta dish. and yes, we used casarecce for this one, too. 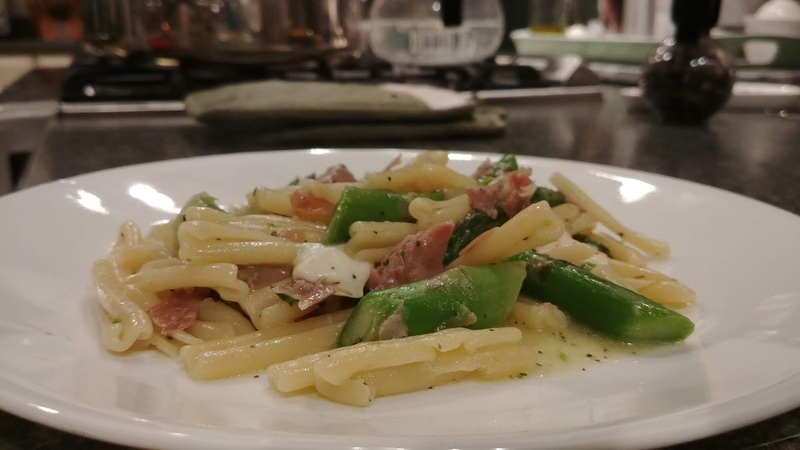 A while ago my mom gave me her Giada cookbooks and this Ziti with Asparagus, Prosciutto, & Smoked Mozzarella recipe is in Everyday Italian. My mom & I made this years ago, before she had the cookbooks, so we probably saw Giada make this on her Everyday Italian cooking show. By years ago I mean 12+ years ago. I'm not sure why it took so long to re-make this recipe. SP & I made it last December and it was delicious. We used 16 oz casarecce, 2 lbs asparagus, 6-7 oz prosciutto, and 6-7 oz smoked mozzarella. No garlic. A little dried basil. We got 3 dinners from this. 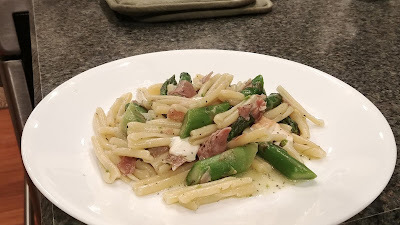 The nice thing is that after blanching the asparagus, you use the same pot of water to cook the pasta. After draining the pasta and reserving some of the cooking liquid, everything gets combined in a skillet (if you need to saute garlic or onion; if not, you could use the empty pasta pot to mix everything together). We've definitely moved away from time consuming dinners in favor of quick & easy. This one is very quick and easy. I like that it's a one pot meal, so only one casserole dish is used when re-heating it.